(A) I want my radio home to look professional, like the commercial radio and TV installations. (B) Rack mounting allows going vertical, meaning floor space is saved and more room for more radios. (C) Interconnection radios and ancillary equipment are easier to wire when they are mounted vertically in the rack enclosure. (D) If you ever should have a break-in, the thieves will not have time to un-mount all your radios, giving your some piece of mind that your radio are safer when rack mounted. (E) Your wife (XYL) or lady friend (YL) will be impressed how nice your “shack” looks. (F) You will be so proud, you will build a web sit to show all or place photos on www.qrz.com. (G) You will get a lot of Wows from your buddies. 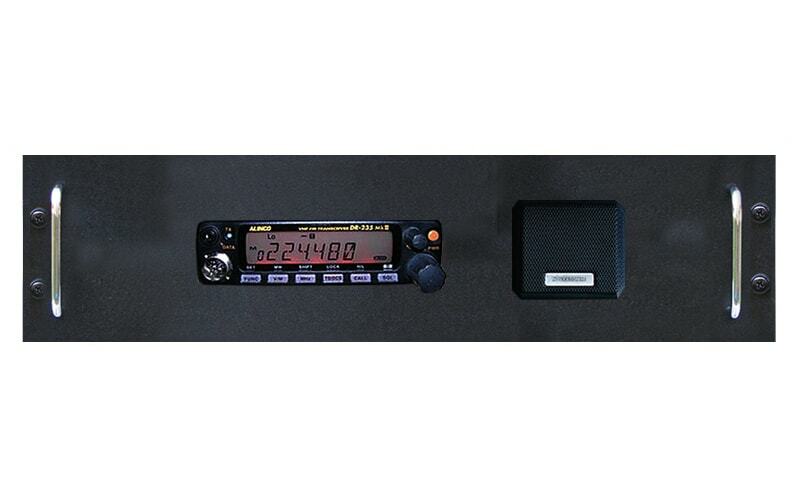 Ham Radios that we now have in our product line are mostly for Collins (S-Line), Icom, Kenwood and Yaesu. We also do a lot with Motorola and other two-way radios. We may be able to do custom produced rack mounts for other manufactures, so be sure to email us with your requirements.